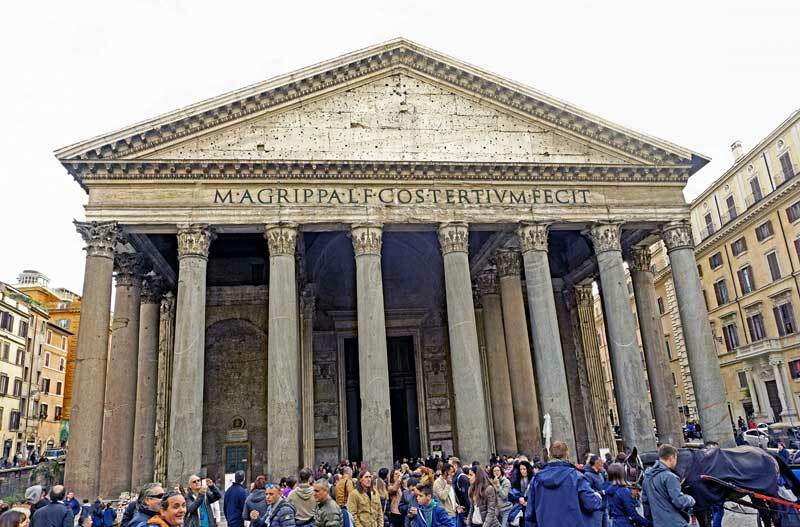 The Pantheon in Rome stands on a site where there was a Roman temple built by Marcus Agrippa during Augustus reign (27 BC – 14 AD). The later, current temple was built by emperor Hadrian and was likely dedicated in about 126 AD, today it serves as a church dedicated to “St Mary and the martyrs” and has done so since the 7:th century. Due in large part to it’s continuous use throughout history, it is one of the best preserved ancient Roman buildings in existence. An interesting fact about the current temple/church is that when it was constructed, Hadrian chose to retain the inscription that Magrippa made over the entrance of the earlier structure. This later caused some confusion as to when the later structure actually was constructed. 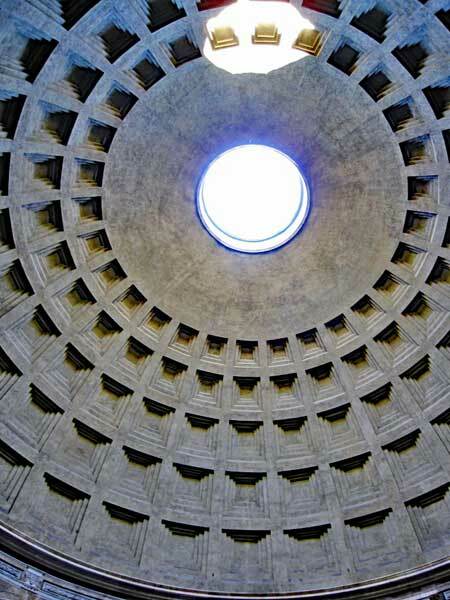 The Pantheon is to this day the largest unreinforced concrete dome in the world, with the interior circle measuring 43.3 m (142 ft) which is the same distance as from the floor to the “oculus”. 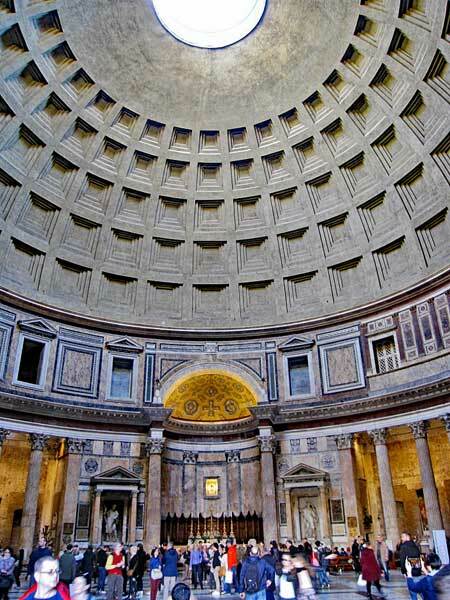 The interior of the Pantheon in Rome. The purpose of the “oculus” (size is 8.2 m/27 ft) was to let in light so as to light the interior of the structure the same way as the sun would light earth. It also let’s rain in, which serves to cool the structure during the summer months. Pantheon ceiling detail with the “oculus” in what is the worlds largest unreinforced concrete dome.